GHECHo is a global health seminar series for interested parties in engineering, public health, translational research, business, etc. who would like to become more familiar with the global health community, research, and practices. 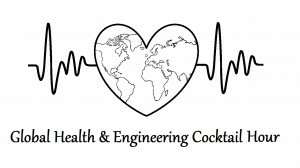 More specifically, our goal is to promote a healthy and educational discussion and link between engineers, public health, and business people. Engineers can become more familiar with public health problems, approaches, and research practices while updating public health people with novel technologies and device capabilities designed by engineers. Business experts can help formulate models and direct discussions on how to implement projects into the global health community. Meetings are held monthly, on Friday afternoons. Venue alternates.